ZooHood Blog: The ZooHood Sale! Happy Boxing Day! 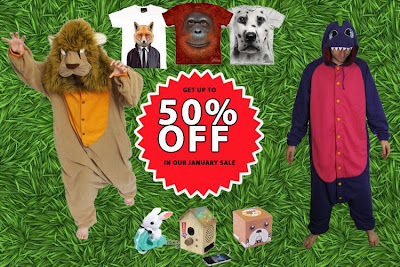 Our sale is well and truly under way, with all sorts of animal-themed clothing and gifts reduced to clear. Some items are reduced by over 50% but it's for a limited time only, so head on over to www.zoohood.co.uk/sale/ to pick up something going "cheap" (get it? ).